Why Do You Need a Water tester? We have already devoted a review to the devices for controlling water quality, personal waters filters. However, no filter is perfect as in the course of time solid particles accumulate on it and if you neglect maintenance, these particles will be found in the water. Most often the owners of cheap filters which let the solid particles into the cleaned water become the victims of this. Does the water have a suspiciously unpleasant odor and color? The National Environmental Services Center scientists name the sewer smell, chlorine smell and taste, rotten egg smell etc. to be the most common complaints. The latter smell means that the water contains hydrogen sulfide, which is quite unsuitable for use. Chlorine smell indicates high content of this substance in the water. Some cases are less obvious and it is impossible to detect harmful elements in the water without thorough analysis. 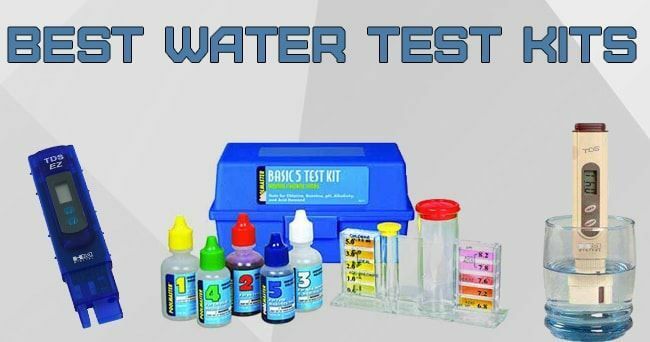 Water test kits will help you be on guard all the time. There are two types of them for drinking water: a pocket tester and a water test kit allowing for a complex analysis and suitable when an unpleasant odor is detected. The device will also be useful to test pool water, especially if you have children. Once you’ve checked your pool with such a tester, you might be horribly surprised to learn how many unwanted elements have settled there. Water test kits for complex analysis (standard tests include Chlorine, Bromine, pH, Acid Demand and Total Alkalinity tests) are used to control the quality of pool water. That is why if you want to avoid some nasty diseases, you won’t do without a water tester. How Does a Water Test Kit Work? Any portable water tester measures the number of solid particles found in the water (total dissolved solids – TDS) in PPM (part per million) within the range of 0 to 1000 (or sometimes 10000) PPMs. The higher the figure is, the less appropriate the water is for drinking. The acceptable range is 100-300 PPMs. The filters of most complicated designs are able to infiltrate 0-50 PPMs water. At 600 PPMs the water will have bad taste. The functionality of a pocket tester is not limited to measuring TDS though. The device is a bit larger than a thermometer and can fit your pocket so you could easily use it along with a portable water filter when hiking or camping. A water test kit is a more complicated device. As a rule, it contains a set of special reagents which will help you remember you high school chemistry class lab experiments with a litmus stick and test the water quality with the help of a simple manual. Of course, you can also test the water quality with a pocket tester, but remember that there exist special tests for drinking water and pool water and mere hardness of the water will tell you nothing. A pocket water tester is irreplaceable when you’re on business trip or hiking. If you doubt whether some apparently clean water is drinkable, use this gadget to learn the truth. It will help you test pool water as well, but more profound analysis will require ones of the water test kits mentioned above. The two main qualities of a portable tester are simplicity and precision. The HM Digital product has both these features of decent quality, hence its rank of a #1 Best seller in the Lab Multiparameter Meters category. The device can measure PPM within the range of 0 to 9990. You might wonder, what is so difficult about making it 10000. The answer is that 9990 PPM is indicates horrible quality of water (we honestly hope that you never encounter such water) as the recommended level of total dissolved solids in drinking water is only 100-300 PPM. The interface is as simple as it can get: there is an on/off button and the indices retention button. The latter is especially helpful should you carry out the measurement in the least convenient conditions and you need to be memorized. This item hasn’t the cheapest price, but it is justified by the quality of the design and the precision of the device’s operations. This tester is identical to a best-selling one. It also has the maximum capacity of 9990 PPM; it has the same productivity and shape. The main difference is in having another screen mode, the shift mode which lets the device memorize and compare the figures. There is also a hold button and a leather case supplied. The latter will be found handy by those who go on business trips often, as the case will protect the tester from wearing out and damage while being transported. The item is a bit more costly, but you needn’t worry about the justification of the said price as the users attest to the high quality of this device’s operation in the comments section. We can’t but recognize this device among the best pocket testers. It has been present on the market for quite some time, proven by years of use; it has over 2400 customer reviewsand a rating of 4.4 stars out of 5, which is impressive enough. Why do the customers find it so attractive? Apart from its high rating, the device can boast of a wide PPM range (0-9990) and an average price tag. It is a bit below the price of a best seller, but isn’t the cheapest one either. The slight disadvantage is the increased 3% error, which is 1% higher than the previous devices have. Do you need a reasonably-priced tester in case you forget to replace the filters? This item has been designed just for you! It will perform all of the necessary basic functions. What does it lack? The most obvious thing is that its TDS measurement range has been reduced to 999 PPM. You won’t need any more for home use. It is highly not recommended to consume 700 PPM water, to say nothing of the higher figures. The materials are a yet another cost-saving aspect. Why pay more, if your tester is a tool that is stored most of the time on the shelf? The measurement precision is comparable to that of the top device. The same holds true for the minimalistic «on/off and hold» button functionality. This is a quality option for those who like to save money. Do you need to check the quality of your drinking water filter? This isn’t a problem. For these purpose we’ll find a home test kit for you. Testing the pool water quality is mandatory, especially if you have children who can accidentally swallow the said water. 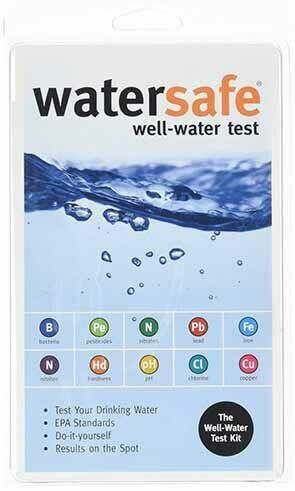 You won’t do with a regular tester here, as a special water test kit for a complete analysis is required. The water quality matters even for the fish in your aquarium, so we’ll find water test kit for that as well. Below we’re going to list 4 most popular options: chemical reagent sets for Chlorine, Bromine, pH, and Acid Demand testing as well as total alkalinity measurement. For the fans of simplicity we’ve been able to find some handy disposable strips for detecting disease-causing bacteria such as E.coli, Staphylococcus Aureus, Salmonella. Do you need to quickly test your drinking water? Here is a set of strip testers. They work just like kids’ litmus sticks: you just place it in the water and check the color of the strip. After that you are supposed to consult a memo supplied along with the kit and make a conclusion concerning the quality of water and its drinking suitability. Based on the results you’ll also be able to judge the filter condition. The test is aimed at detecting metals, but it will also identify bacteria and pesticides in the water. It is versatile but consumed quickly. If use simplicity matters to you, buy this tester. To carry out a complete test of the unwanted particles in the pool you don’t have to do a lab test, it will be enough to use a special kit. We don’t advise you to use a random one; instead you should pay attention to this #1 Best Seller in the Swimming Pool Water Test Kits category which has over 500 customer reviews already. What is the essence of this test kit? No, this isn’t a smart gadget able to analyze the contents of the water, but a set of chemicals and reagents. Do you remember the simple experiments you undertook in your high school chemistry class? Well, this test kit works is a similar way. The kit contains 5 reagent vials, a test tube, a flask and a sort of a manual to clearly help you carry out the test without making you read hundreds of pages on theoretical aspects. With the help of the 5 vials you’ll be able to test the water for Chlorine, Bromine, pH, Acid Demand and Total Alkalinity, which is more than enough for home test. In case the indices show off-scale numbers, you’ll know it’s high time for you to consult the experts. The only drawback is that you’ll eventually run out of the supplies in the kit and you’ll have to invest into a set of new ones. Metal particles aren’t the most dangerous thing to encounter in water. If we’re speaking about open water sources, the bacteria possess most danger there. Many testers aren’t aimed at working with the bacteria, so you’ll require a special test kit for this purpose. This set contains three test kits: for bacteria, biofilm and fungi. 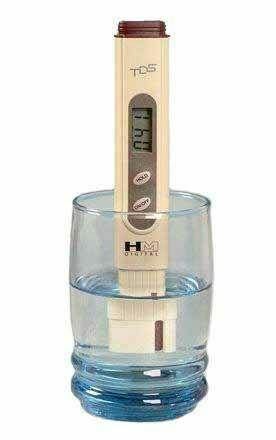 Obviously, there is no information regarding water hardness, so the kit is really a mono-functional one. This is helpful in terms of both testing the pool water and the filters (it sounds like a good idea to test the water before going camping in order to avoid some despicable consequences). The only thing this kit lacks might as well be a portable case to transport it without any issues. This kit is a real aquarium water test station. You won’t do without it if you have a large aquarium with lots of fish there. The design is similar to the pool water testing kit. The main distinction is that the tests for the habitable water are supposed to be different. The home station will test your water for pH, High Range pH, Ammonia, Nitrite & Nitrate and will indicate the time to replace the water. Unfortunately, no large flask is supplied as the manufacturer decided to only provide 4 test tubes. Should you be rational enough, you’ll be in no need of a huge bowl though. The manufacturer claims that the kit will endure up to 400 tests given that the recommended dosages are used. By the way, the manual is clear, straightforward and will let you carry out the analysis even if you failed chemistry in school. This is a #1 Best Seller in the Aquarium Test Kits category. Read over 1400 customer reviews to see for yourself that it is popular not in vain. You don’t like messing around with the test tubes, do you? Below we’ll describe the best pocket water testers which are appropriate to use in any situation. Remember to regularly test the quality of water and never save on your health! I have a HM Digital TDS-4 Pocket Size TDS Tester Meter, and I'm very satisfied! Very inexpensive tester, but so accurate. Of course, I put the experiments to understand whether it works correctly or not. And my "experiments" pleased me with the results. 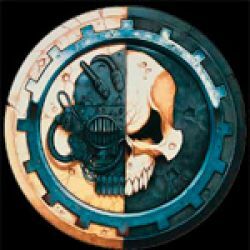 The best option for its price.